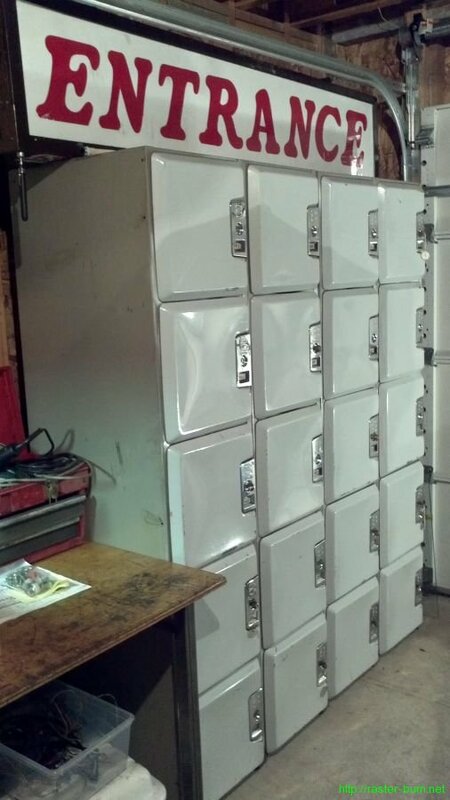 Got 20 doors of the lockers from Hollywood Bowl installed in their new home and cleaned up a bit. 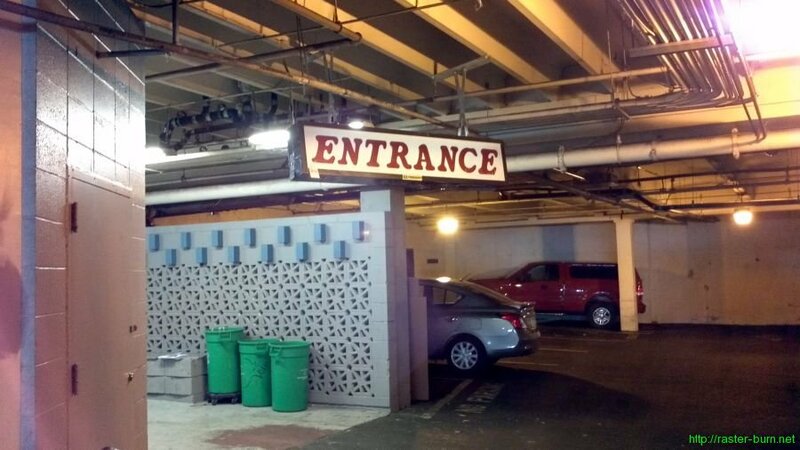 The ‘Entrance’ sign from the parking garage fits nicely up on top too. I need to rewire it at some point since it still has the original crumbling cloth insulated wiring inside. 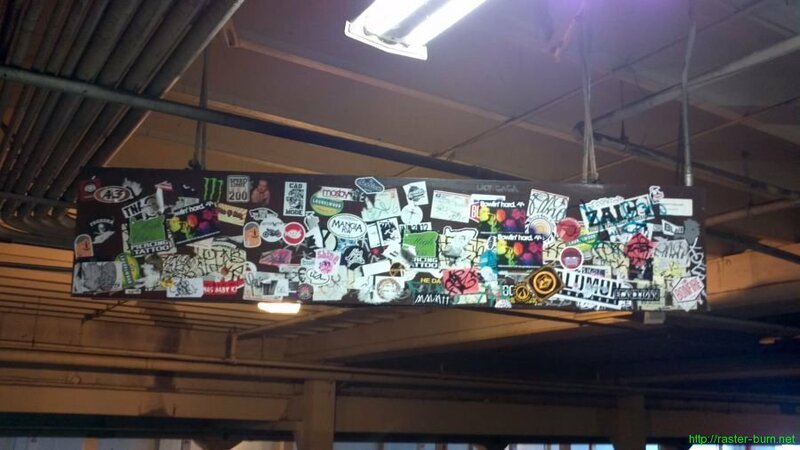 Once it’s safely functional I’d like to hang it somewhere the layers of stickers and tags on the back can be shown off too. Old dot matrix printed info card gives an idea of how long it’s been since some of these had been rented. Lovely chrome, and painted logo. 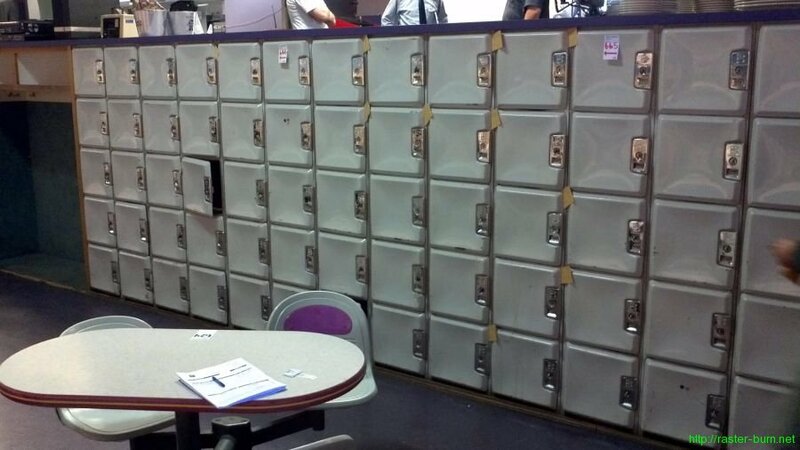 The banks of lockers I bought are all probably all from when the place opened as Timber Lanes in 1962, based on their original color scheme. 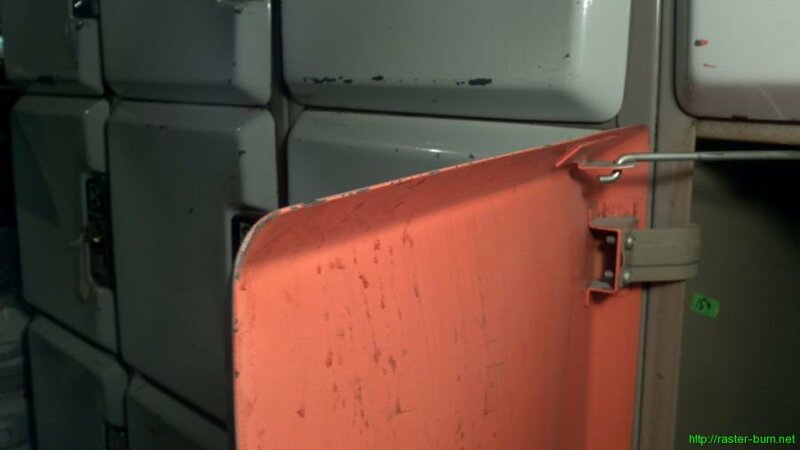 They started life a pale brownish color, with alternating rows painted the orange seen on the back of this door. At some point they were all painted over with the current color to match the newer Brunswick 2000 style lockers that were added to the space. I think I’d like to pick out a period appropriate palette and do a scatter of different colors on the doors eventually. The objects in their natural habitat, prior to removal for preservation. 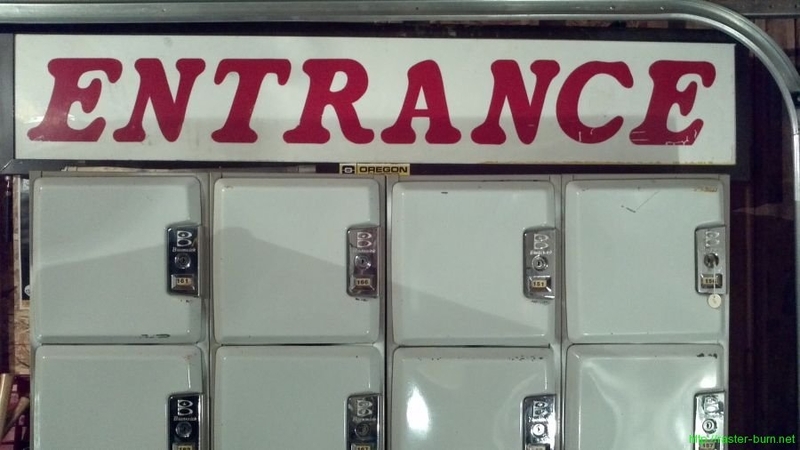 I was a little surprised at the absence of certain prolific taggers’ work from the back of the entrance sign. 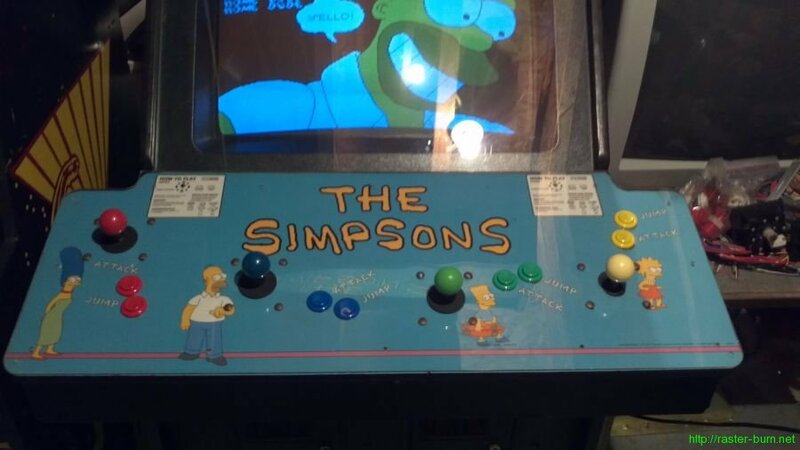 So much better. The control panel art is a used original piece I picked up off someone on the KLOV forums, up close you can see an insane difference in the print quality and sharpness compared to the reproduction piece on the old control panel. 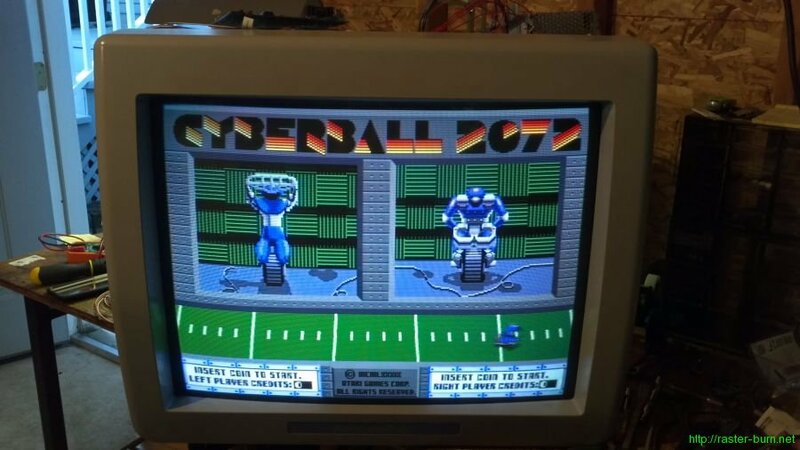 Spent this week straining my back moving CRT monitors like it was the 90s again. It’s a start, but we need more than a quarter of the picture. 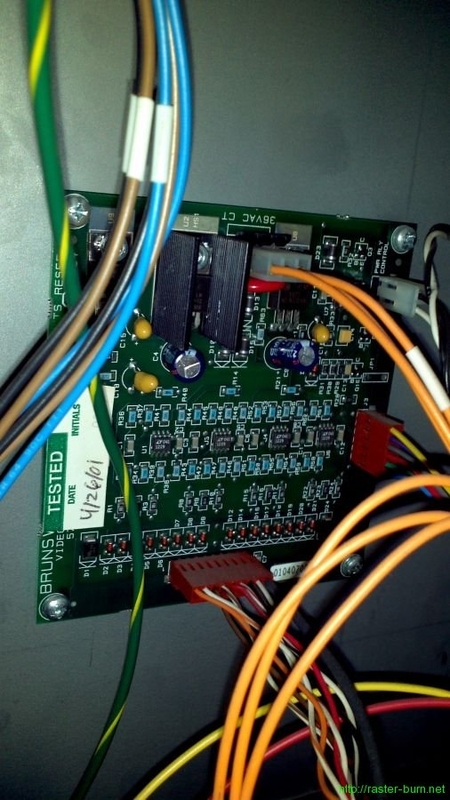 I started by checking transistors X401 and X402, which metered fine. Then, worked my way through the resistors in the 400s and everything was within tolerances there. Then I reflowed some dubious traces and all the header pins. Still nothing after all that effort, which left me a bit stumped. 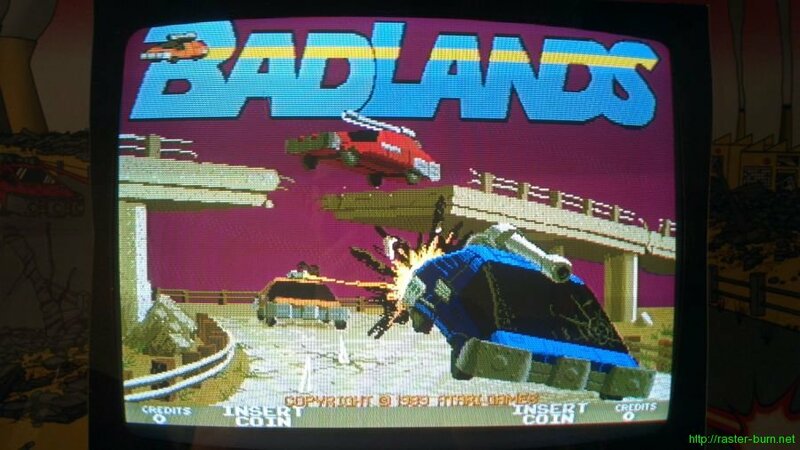 I decided to swap out X401 and X402 just because, and after swapping X402 got a screenful of Badlands again. So! Lesson learned, testing a transistor with a DMM doesn’t necessarily tell the whole story. 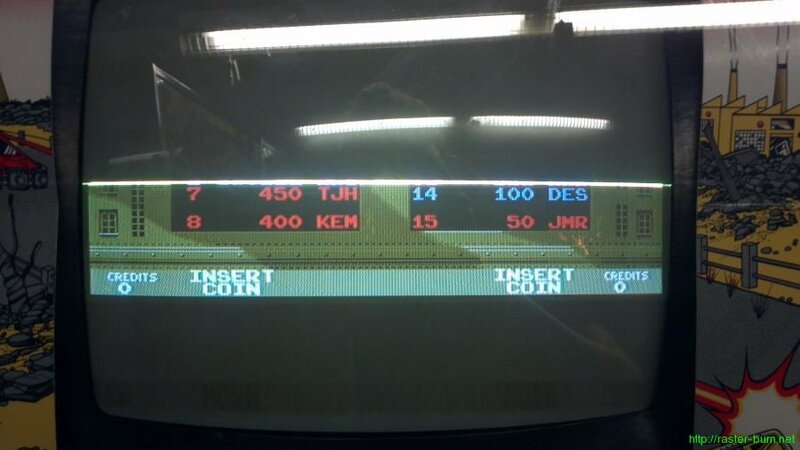 Second part of the CRT adventuring comes from the basement of one of Portland’s late bowling alleys. 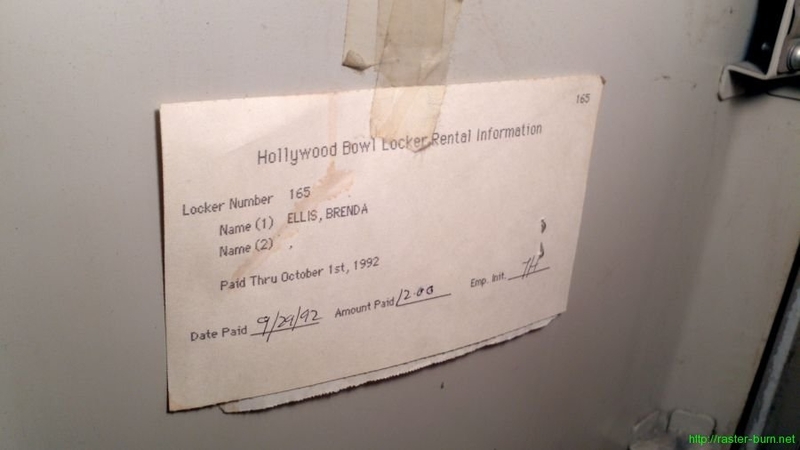 Hollywood Bowl closed recently after over 50 years, another casualty of the explosive redevelopment of NE Portland. Earlier this year there’d been some rumors, but they’d insisted their lease was intact for a long time to come and they had no intention of shutting up shop. Apparently someone threw enough money at the situation to break through and now we’re losing one of Portland proper’s last bowling alleys to make way for… A hardware store. What a waste. My disappointment with that turn of events didn’t prevent me from touching down on the site like a starved vulture when it came time for the fixtures to be auctioned off. 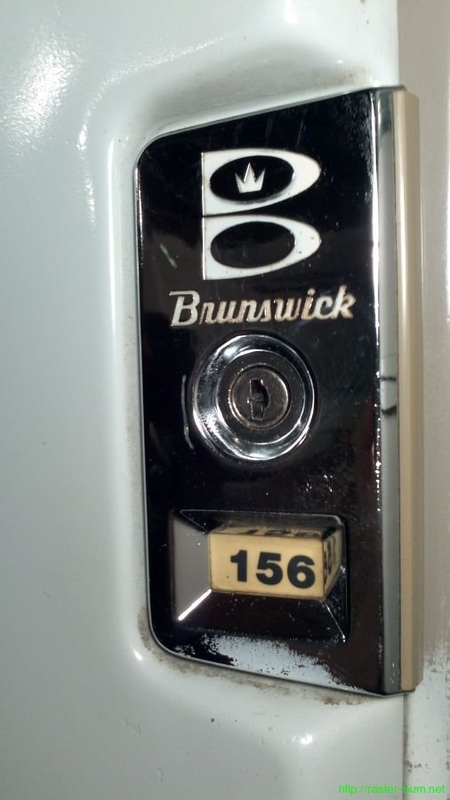 This past Wednesday I secured a few banks of Brunswick lockers, the big lighted ‘Entrance’ sign from the parking garage, and a few other small things. 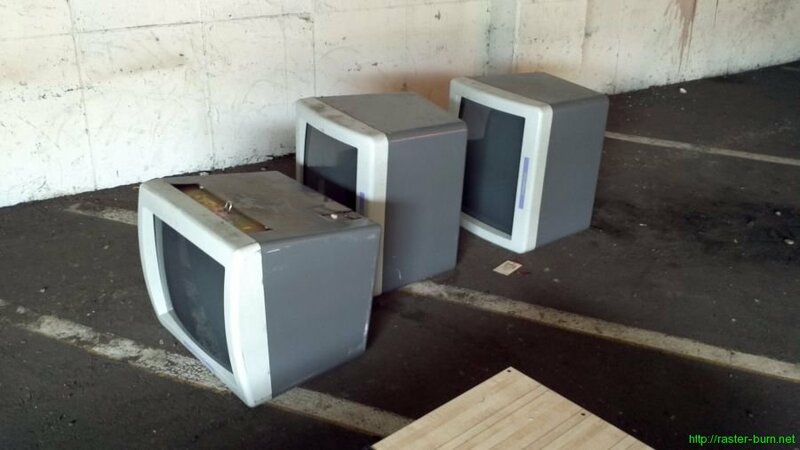 While I was there I noticed a big pile of overhead monitors in a corner of the garage that had been on the auction catalog initially but were pulled… I inquired about them and was told they were destined for the dump. Sooooo I did what any self-respecting scrounger would do and loaded a few up while retrieving the stuff I bought. They’re Brunswick Frameworx system 27″ overhead displays, designed to be hung over the approach area of the bowling lanes and display scores and those dopey animations that play when you get a strike. 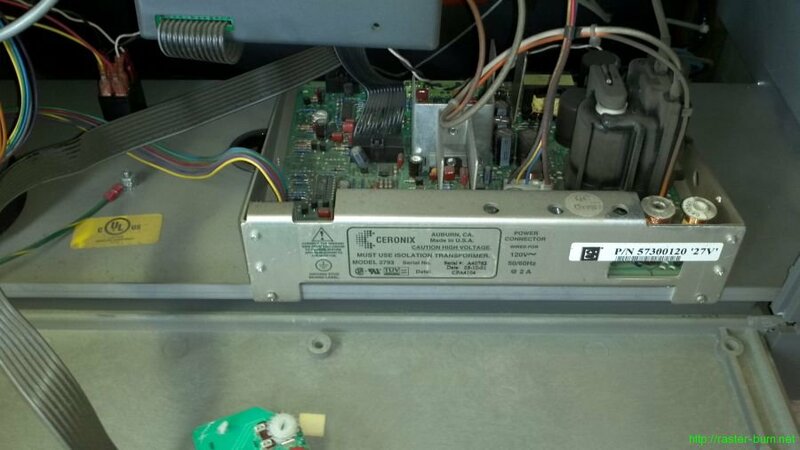 The guts are a Ceronix model 2793 chassis and a little Brunswick board that gets fed off the 36V output from the isolation transformer and does some conversion of the signal from the scoring system, as well as controlling power to the monitor via a relay. The Ceronix chassis is a standard CGA deal and it didn’t take a whole lot of modification to get the thing displaying the image from an arcade board. 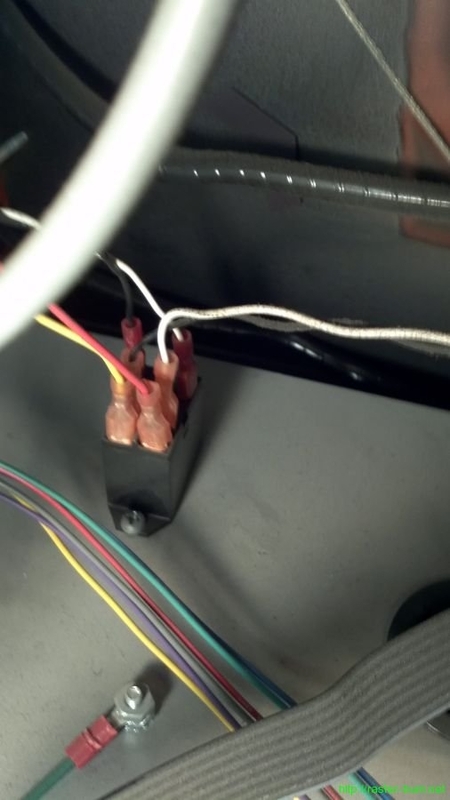 I had to bypass the Brunswick board by removing its 36V power connection, and bypassing the monitor power relay and connecting the AC output from the isolation transformer to the Ceronix power input directly. 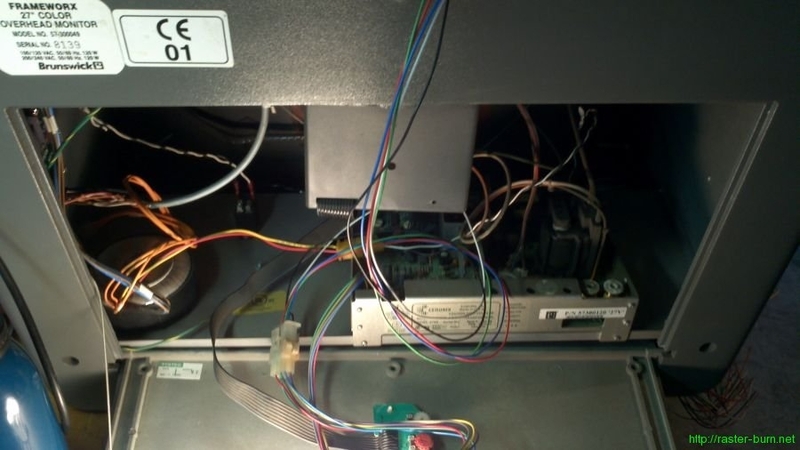 Then I took the video input harness that goes between the Brunswick board and Ceronix chassis, clipped off the Brunswick end, and fitted a Molex connector to mate it to an arcade wiring harness. Hooked up my Cyberball 2072 board to test and dial in the adjustments. Not too shabby for a freebie! 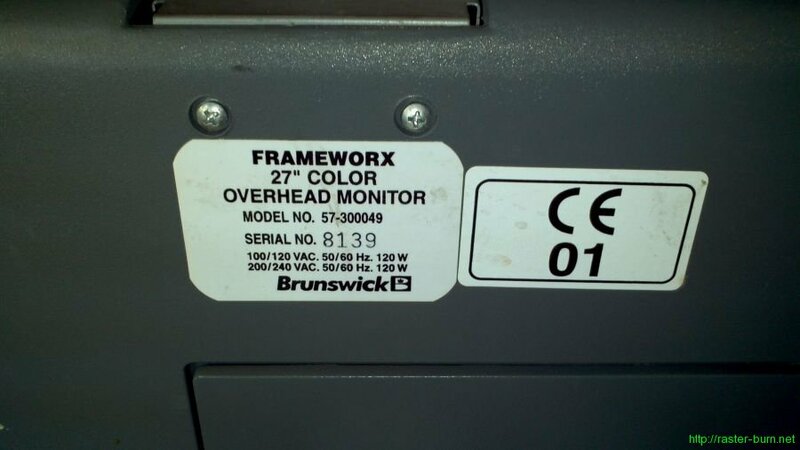 There is a service bulletin from Brunswick regarding these monitors, and the Ceronix chassis in particular. 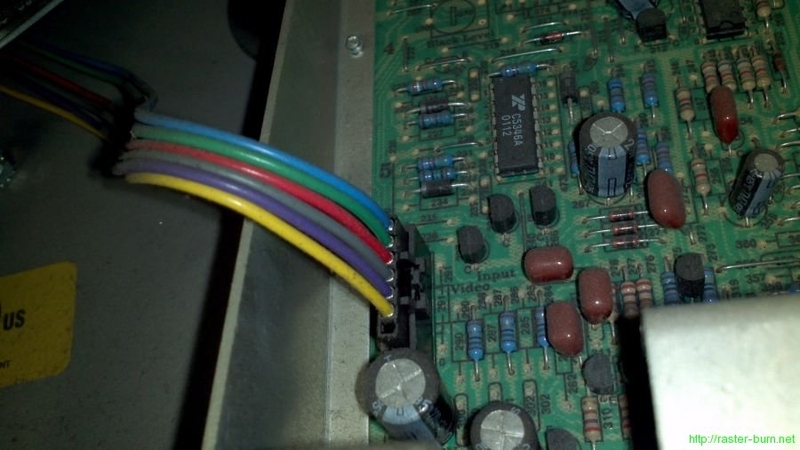 From reading old threads on Bowltech it looks like these chassis were prone to a manufacturing issue that led to weak or absent solder traces. Repairable, but definitely worth being aware of. It’s also likely that most or all of these things still in service will have had the defective components repaired or replaced by now. 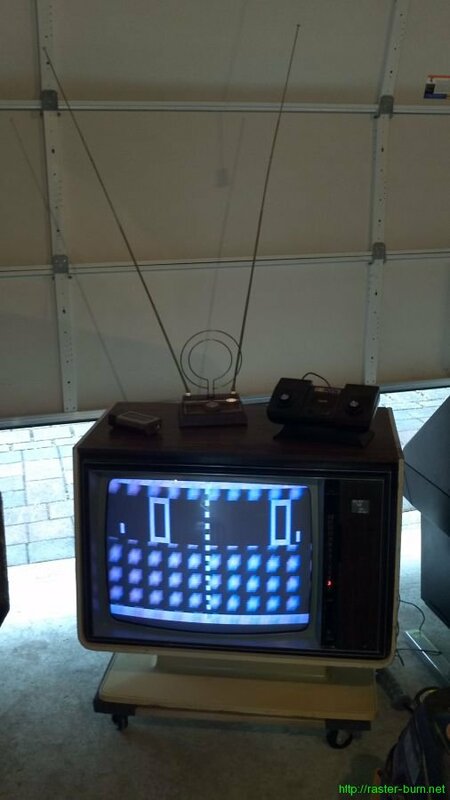 Zenith Avanti console television with Space Command ultrasonic remote, Gemini Colorgem VHF/UHF rabbit ears antenna, Atari Pong console. May not get the channels you want, but has all the woodgrain you can handle. I got the TV gratis from a guy doing some spring cleaning in a super rad dome house out in SW Portland. 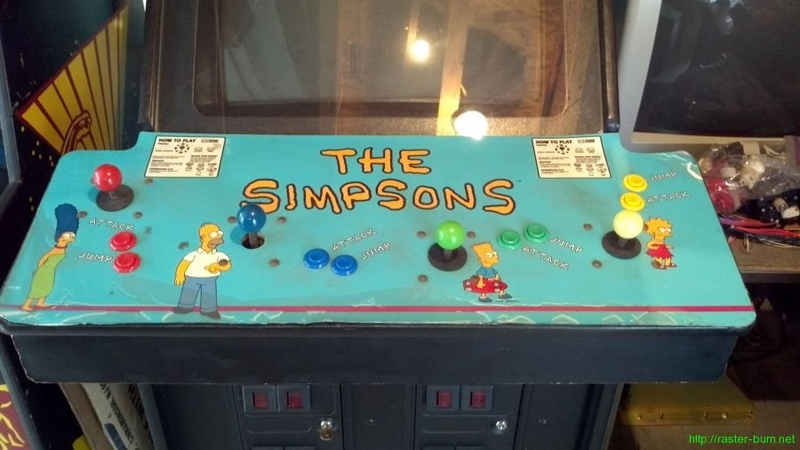 I think it was probably a period fixture from around when the place was built, along with the the electric blue shag carpet in the room it came out of. Was almost sad to be taking it out of its natural habitat.